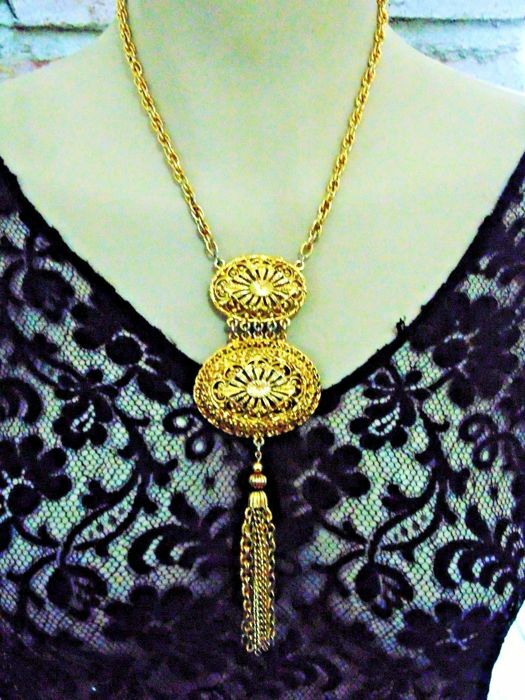 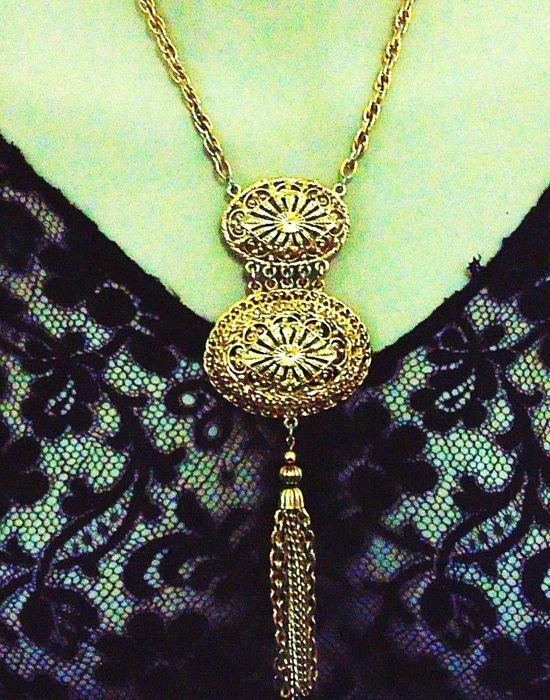 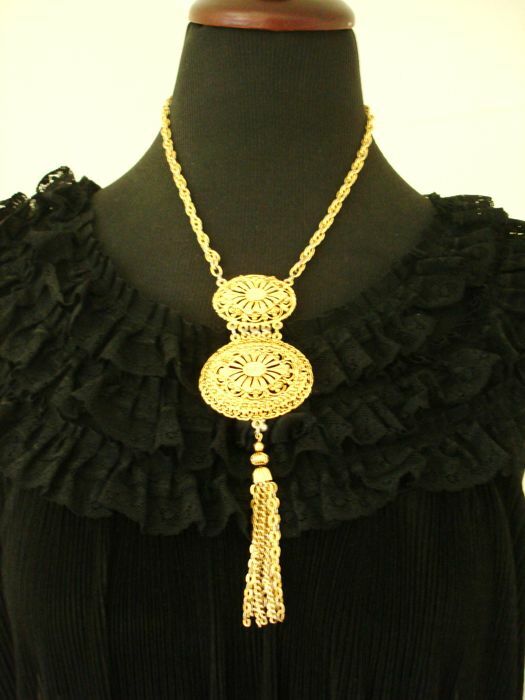 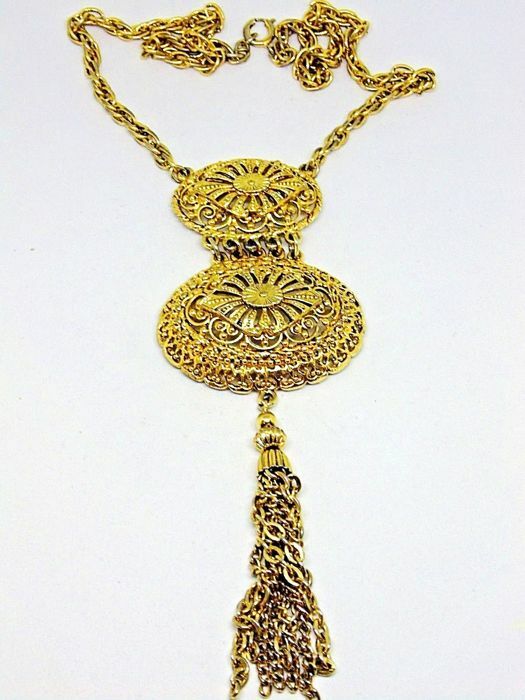 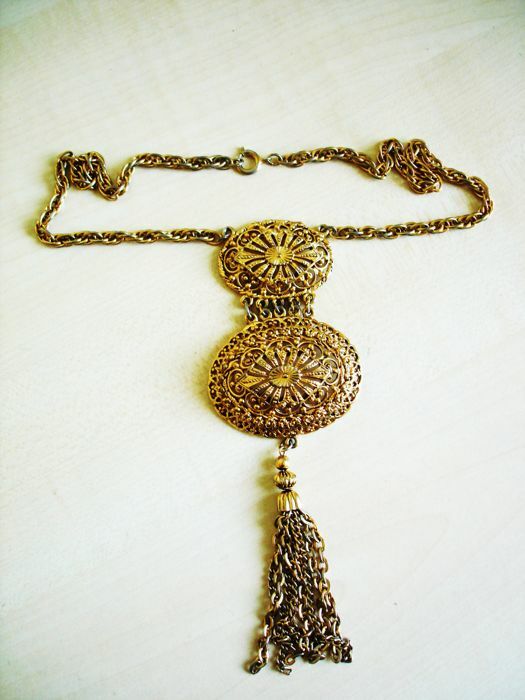 This Vintage, early 1970s and very in style again, Lariat Necklace of oversized 2 tier Oval Open work style Pendant with Tassels, attached to the twisted Rope Chain is made of 12K yellow Gold plated alloy in Modernist style of Runway jewellery. 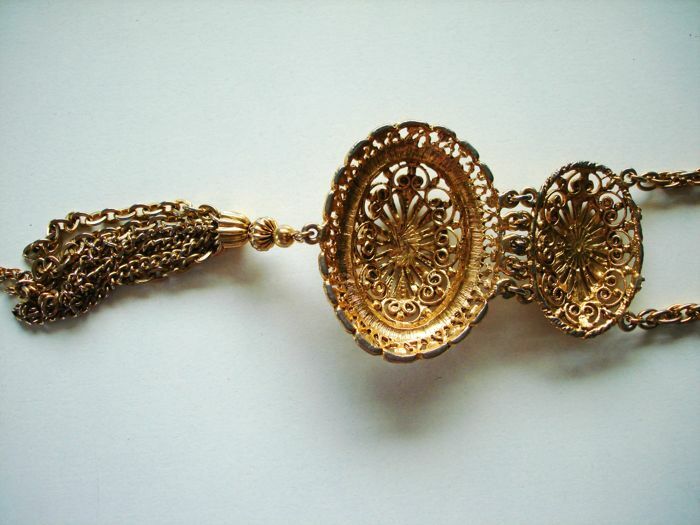 Excellent quality of craftmanship and 3 dimensional filigree work. 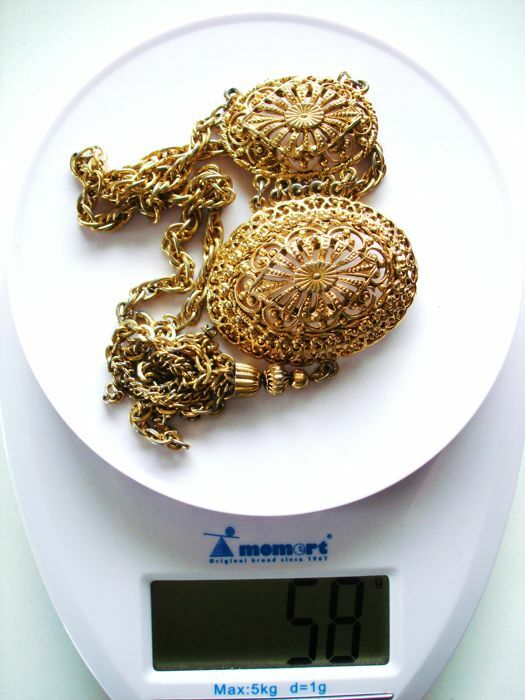 Condition: Good overall Original Vintage condition from estate with visible wear to the gold plated surface, mostly on the backside, as pictured.